21731 Sound Way #101, Estero, FL.| MLS# 218016372 | Southwest Florida Residential Real Estate for Sale. BEST OPPORTUNITY FOR A CARRIAGE HOME IN PELICAN SOUND - Beautiful golf course view. Rarely available first-floor spacious carriage home in Pelican Sound with a 2-car garage. Perfectly maintained unit. 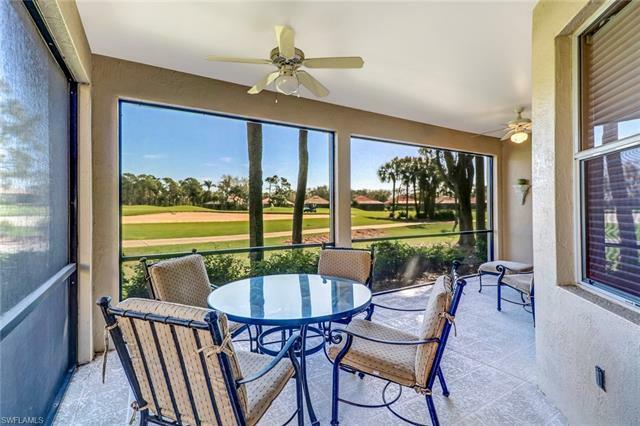 Enjoy the morning sun from your lanai and enjoy the golf view. 2015 A/C. New roof 2014. Pelican Sound is a well established bundled golf community with an excellent location West of US 41. 27-hole championship golf course, very active tennis center, two clubhouses with restaurants, spacious and attended fitness center, bocce courts, pickle ball courts, boat shuttle to the beach, boat storage and boat ramp to Estero River with direct access to the Gulf of Mexico. Canoes and kayaks. Very active community.